There are two things that my Children love to do, or at least here at the end of half term that's how it seems to me. They love to eat and they love to decide themselves what they are eating. Now this isn't a problem, normally they have a hand in deciding our meal plan for the week, they know my "rules" on how many times we must eat Fish, or have a Vegetarian meal. They have their favourite meals that they request us to have, maybe Top Ender get's her choice this week and BB the week after but overall everyone is happy. Unless we're eating Pizza. Then it seems that nobody is happy. 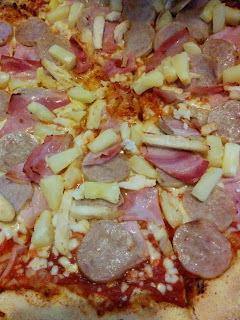 Top Ender and Big Boy like Pizza to have pineapple on. As far as I'm concerned Pineapple has no place on a pizza. The children like Ham and Sausage and tonnes of Cheese. I like Mushrooms, Sweetcorn and maybe some Chicken. 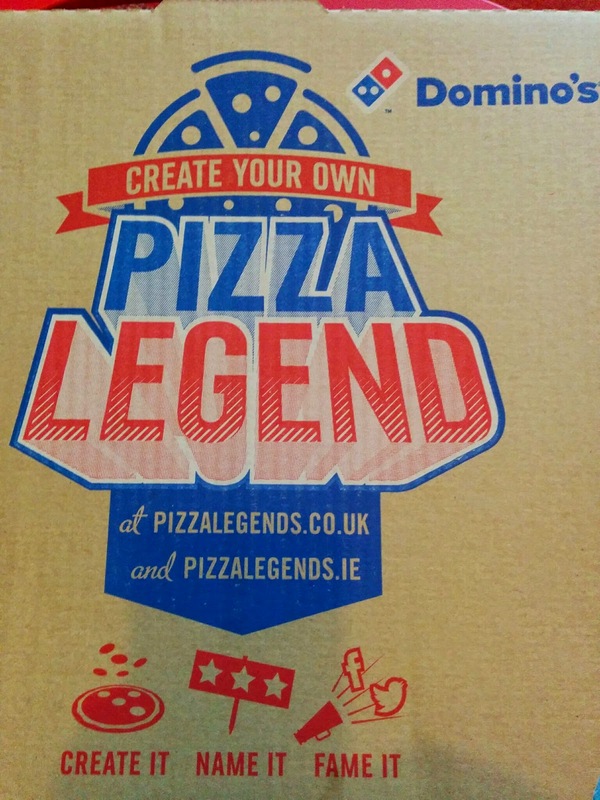 The Children like a deep pan, where as in my old age I've started to like a thin crust. 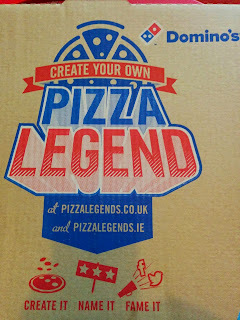 So when we heard about the rather cool Domino's "Create Your Pizza Legend" option where you can create a pizza and share it with others the Children were really excited and wanted to create a pizza that they thought everyone would love because they loved it. 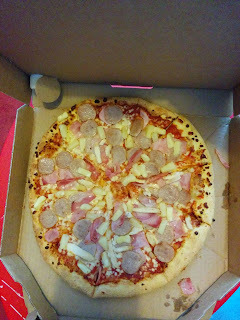 I do have to assume that the Children loved the Pizza because they did eat the whole thing (bar the slice I ate) and have requested that we order it again, although I'm quite tempted to do as someone on my Facebook suggested and order a Vegetarian Pizza with extra Meat next time!